With this Disney Family #DisneyWeekend theme being gingerbread cookies, plus the opening of Star Wars: The Last Jedi, I had to bake a special treat for the two occasions! With so many cute Star Wars creatures in the universe, I had so much inspiration for these Star Wars gingerbread cookies! I pulled inspiration from R2D2, ewoks, BB-8, and the newest cute creature from The Last Jedi: porgs! 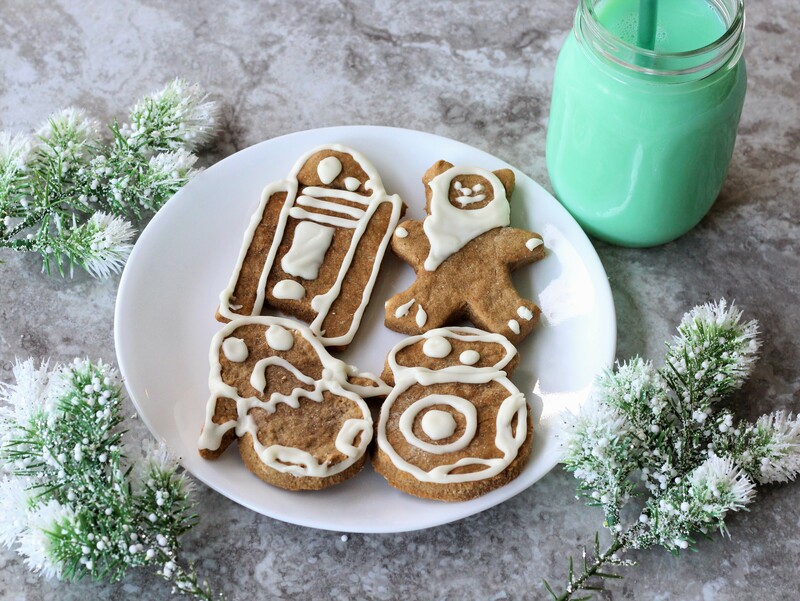 Which Star Wars inspired gingerbread cookie do you think is too cute to eat? Use a small knife to cut the shape of a porg, R2, BB-8, and ewok. Place in a piping bag with a number 3 tip, and pipe the outlines and facial features of each Star Wars cute creature.